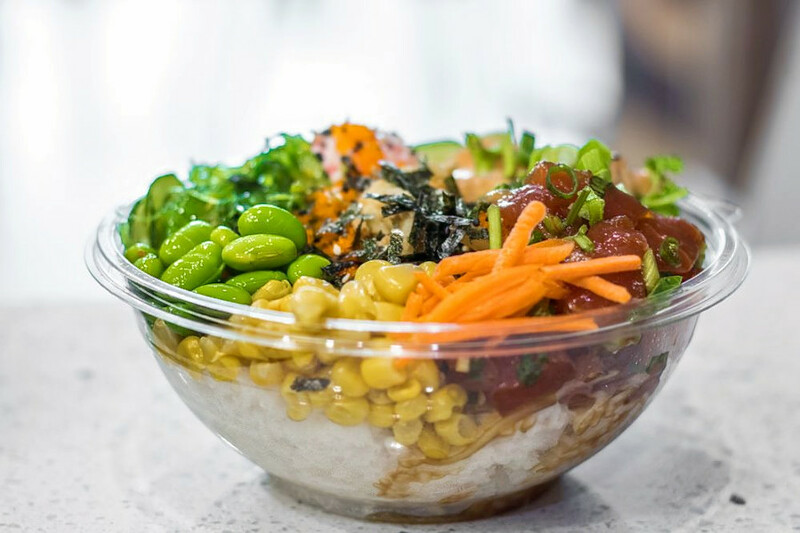 Papa Yu recently debuted in the Blalock Market Shopping Center, specializing in customizable poke bowls, sushi burritos and Hong Kong-inspired desserts. Yelp users are excited about Papa Yu, which currently holds five stars out of 18 reviews on the site. Yelper Katherine C., who reviewed Papa Yu on March 8th, wrote, "The staff is super friendly and it feels like a family-owned and -run business. Pick your carbs, then two proteins, and then it's a party with the veggies!" John T. noted, "I've been seeing them build this place from the ground up. I finally gave it a go. Prices are good, better than most poke places I've been to." Papa Yu is open Friday and Saturday from 10:30am-10pm, and Sunday-Thursday from 10:30am-9pm. National chain Pokeworks recently debuted a new Houston location in Montrose. Like many other poke spots, the eatery offers bowls, salads and sushi burritos. On the menu, look for the wasabi shrimp and scallop poke bowl and the sweet chili chicken bowl for slightly different takes on poke bowls. With a 4.5-star rating out of seven reviews on Yelp, Pokeworks has been getting positive attention. Phung N. said, "Hip new poke joint! Love the bright open space with wood. Food here is pretty fresh and you basically have unlimited toppings! Some of my favorites toppings are: seaweed salad, imitation crab, mango and lots of it, mandarin orange, masago (eggs), and furikake. " And Jessica W. wrote, "I love their kale noodles. They're happy to give you a sample if you'd like, but don't let the initial taste fool you. The texture of these noodles, the 'slipperiness' and light sesame flavor was perfect for mixing in." Pokeworks is open Friday and Saturday from 11am-10pm, and Sunday-Thursday from 11am-9pm. 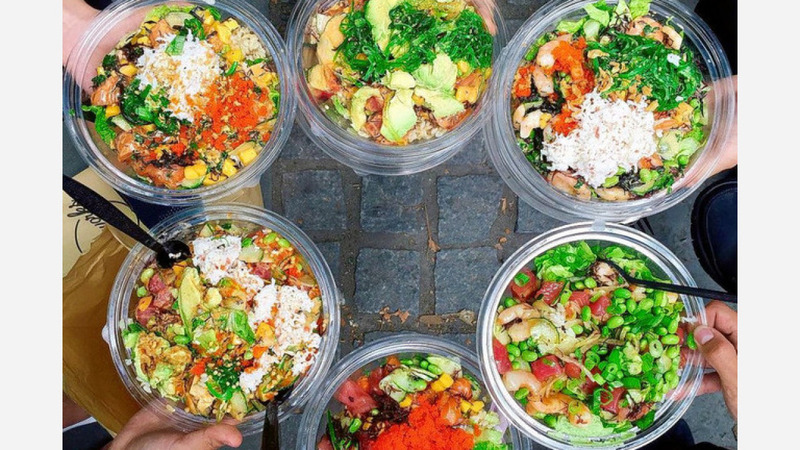 At Poke In The Bowl, customers can build their own poke bowls, burritos or salads. The three founders behind the spot "share a passion for bringing island food to people in a customizable and healthy way, bringing you delicious Hawaiian poke made from the highest-quality, sustainably sourced fish," the business says on its website. 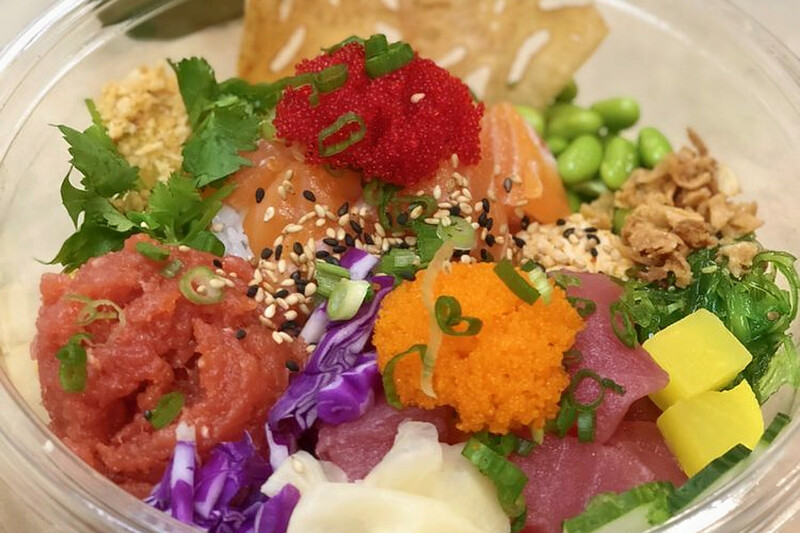 Poke In The Bowl's current rating of 4.5 stars out of 47 reviews on Yelp indicates positive attention from users. 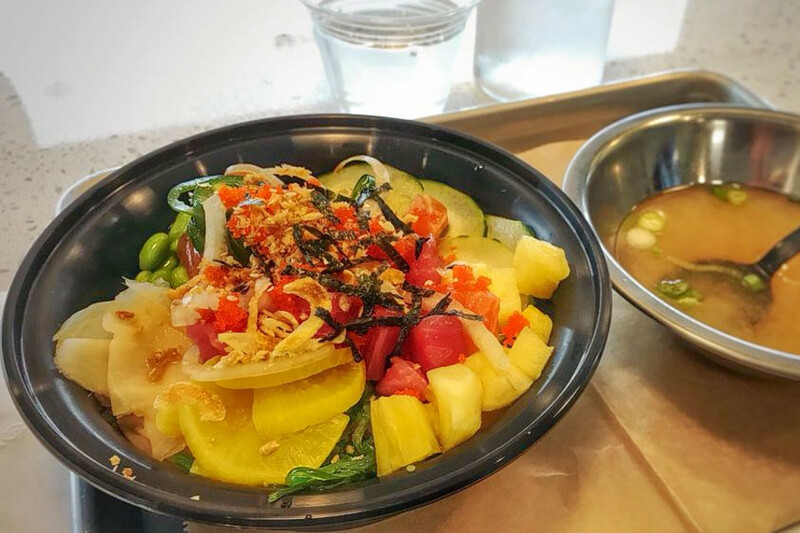 Yelper Linh N., who was one of the first users to visit Poke In The Bowl on March 10th, wrote, "Poke in the Bowl has consistently offered exceptionally nice, accommodating service, fresh ingredients and generous portions--all at a fair price. Neighborhood mainstay." Mary Z. noted, "They have the whole package--amazing staff, super affordable prices, a frequent buyer card, and on top of that, you get so many more choices: protein isn't just limited to salmon or tuna, they even have scallops and tofu!" Poke In The Bowl is open daily from 11am-9pm. 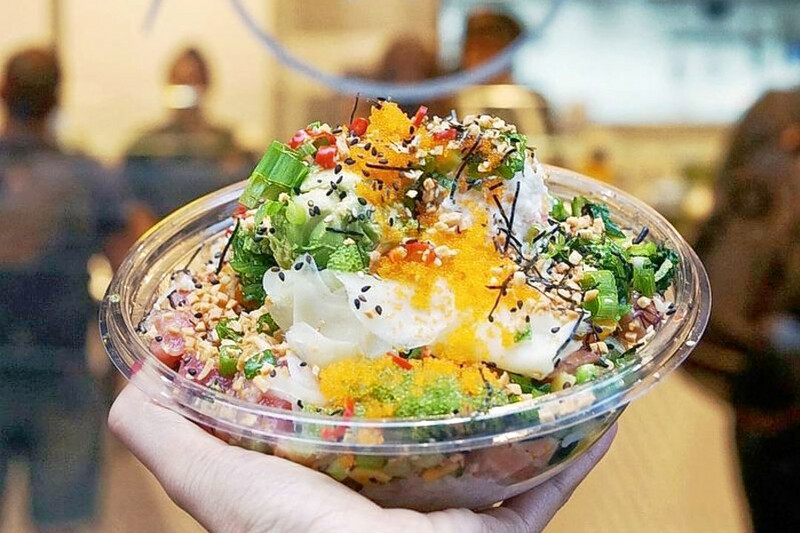 Over in Chinatown's Dun Huang Plaza, Wiki Poki recently opened with poke bowls that include protein options like tuna, salmon and shrimp. "With so many toppings and house-made sauces to choose from, the poke possibilities are endless," the business writes on its Facebook page. Yelp users are generally positive about Wiki Poki, which currently holds four stars out of 30 reviews on the site. Yelper Deanne H., who reviewed Wiki Poki on February 25th, wrote, "Convenient location, it's situated in a nice spot in the plaza. It's relatively small on the inside but thankfully it wasn't so busy. The cashier was super nice and sweet." Ryan T. wrote, "I had to come check it out because I'm on a poke frenzy. The sushi looks good, as I saw that some were marinated with onions and garlic. What caught my eye was the tuna and spicy salmon. Not many poke places offered them this way."